This is the fourth in a series of posts discussing my research into the history of the 1922 U.S. Supreme Court case of Federal Baseball Club of Baltimore v. National League, culminating in my recently released book, Baseball on Trial: The Origin of Baseball's Antitrust Exemption. Click here to read the earlier posts in the series. Students of baseball history, and sports law enthusiasts, are likely aware that the Federal League's Baltimore Terrapins opted out of the Federal League-Major League peace agreement of December 1915, with the team instead electing to file its own antitrust lawsuit against the American and National Leagues. That litigation, of course, ultimately culminated in the Supreme Court's 1922 decision giving rise to baseball's infamous antitrust exemption. What fewer people realize, however, is that the suit that eventually made its way to the Supreme Court -- following trial court proceedings in Washington, D.C. -- was not the Baltimore club's first lawsuit against the major leagues. Indeed, a few months after the Federal League-Major League peace agreement, the Baltimore Terrapins filed suit against the American and National Leagues in the federal district court for the Eastern District of Pennsylvania in Philadelphia. 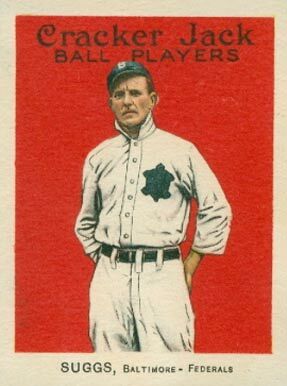 The suit charged the major leagues with violating both Sections 1 and 2 of the Sherman Act, not only by conspiring to drive the Federal League out of business throughout its short life-span, but also by reestablishing monopoly conditions in professional baseball through the 1915 peace agreement. Unfortunately for Baltimore, this initial lawsuit appeared to be ill-fated from the start. Shortly before trial was scheduled to begin in June 1917, the team's lead attorney, and noted antitrust lawyer, William Glasgow became unable to try the suit as planned for unknown reasons. Consequently, the club's general counsel, Stuart Janney, was forced to step in at the last minute to try the case himself on behalf of the team. Janney struggled to effectively present such a complex case on short notice, and after three-and-a-half days of largely unproductive testimony, he abruptly and unexpectedly announced that the plaintiff was resting its case. The bad news continued to mount for Baltimore early in the presentation of the defense's case, when the major league's first witness, National League President John Tener, testified that he was in possession of a transcript of the December 1915 peace negotiations between the Federal League and the major leagues. Baltimore's counsel had been completely unaware of the existence of such a transcript, and upon reviewing the document that night determined that it largely undermined the team's case. In particular, the transcript showed that Baltimore had been represented during the negotiations by two of its corporate executives, including its general counsel Janney, who had failed to object when Federal League officials made several unfavorable representations during the peace negotiations. Because Janney had predominately focused his presentation of evidence on the illegality of the 1915 peace agreement, he believed the transcript largely undermined Baltimore's case, not only by suggesting that the team had acquiesced to the Federal League's dissolution, but also insofar as it placed him as an important witness to key events in the trial. As a result, Janney stunned the crowd gathered in the courtroom at the beginning of the fifth day of the trial by announcing that the plaintiff was voluntarily dismissing its case. Although some press reports speculated that a settlement must in the works, both sides insisted that that was not the case. Indeed, despite withdrawing their suit, Baltimore's counsel sent a letter to the major leagues' attorneys that afternoon maintaining that the team continued to believe its rights had been violated. Consequently, Baltimore would eventually file a second, broader antitrust suit against the major leagues several months later, this time in Washington, D.C.